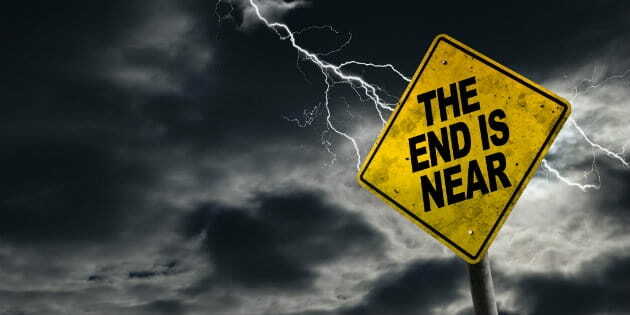 Perhaps this makes me a bad Christian, but I’ve never really cared for “End-Times” dogma. As a child of the 90’s, I experienced the Left Behind craze firsthand, and nearly all my summers at Bible camp ended with a morose counselor telling us we were, “Living in the last days”. Over time though, I grew more practical. If the Bible tells us no man can add a single hour to their life by worrying about the future (Luke 12:25), then the most important time was the here and now. Why should I sweat over a couple of vague prophesies in Revelation when Jesus was just going to win in the end? Despite this lax attitude however, there’s no denying Christ’s return plays a pivotal role in the Christian faith. Chris Brauns, of The Gospel Coalition, believes it’s important for Christians to approach End-Times scholarship with clear heads and discerning hearts. As such, he’s compiled a list of errors Christians should avoid while researching Revelation, to which I’ve added a few of my own. When I was roughly twelve years old, a couple youth leaders thought it was a good idea to screen A Thief in the Night for the kids in their group. The movie was terrible even by 90’s standards, and only served to traumatize an entire generation of Christians. Since then, well-meaning filmmakers have attempted to remake these movies for modern audiences, only for them to crash and burn spectacularly at the box office. Its high time Christians retired this genre and focused on new, more original stories. As I stated earlier, the most important time for Christians is the here and now. Our study of the End- Times shouldn’t distract us from the opportunities of today. God has commanded us to love our neighbor as ourselves (Mark 12:31), to seek justice for the weak (Psalm 82:3), and share His gospel with the world (Matthew 5:14-16). Let’s not get ahead of ourselves. God will take care of the future, we still have work to do. No man knows the day of Christ’s return (Matt. 24:36). It could be tomorrow, it could be a hundred years from now. Still, if I may borrow a phrase from The Lord of the Rings, “All we have to decide is what to do with the time that is given us.” Let us live in such a way that when Christ does arrive, our time will have been well-spent, and we can return home as good and faithful servants. This article is part of our larger End Times Resource Library. Learn more about the rapture, the antichrist, bible prophecy and the tribulation with articles that explain Biblical truths. You do not need to fear or worry about the future!